Recognized worldwide as a musical phenomenon, Grammy-nominated Andrés Cárdenes parlays his myriad talents into one of classical music’s most versatile careers. 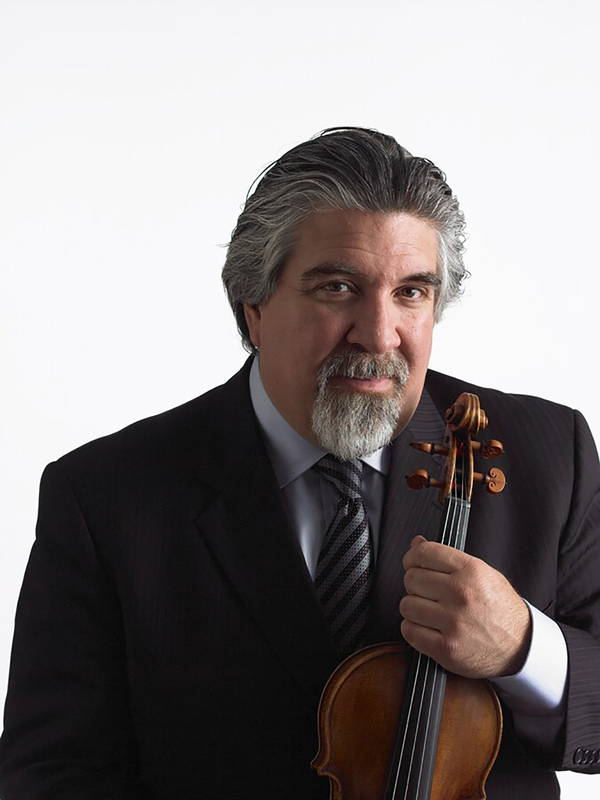 A ferocious, passionate and personally charismatic artist, Cuban-born Cárdenes has garnered international acclaim from critics and audiences alike for his compelling solo violin, conducting, viola, chamber music, concertmaster and recorded performances. 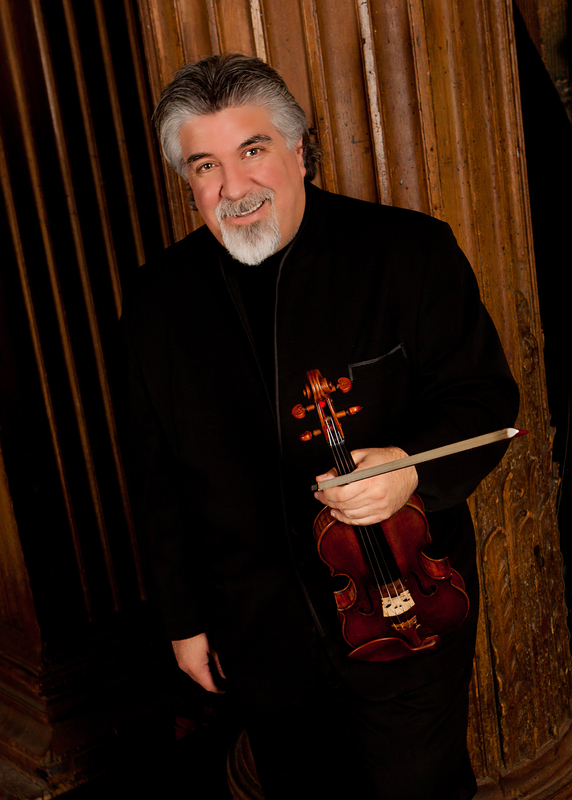 Since capturing the Second Prize in the 1982 Tchaikovsky International Violin Competition in Moscow, Mr. Cárdenes has appeared as soloist with over one hundred orchestras on four continents, including those of Philadelphia, Pittsburgh, Los Angeles, St. Louis, Moscow, Bavarian Radio, Dallas, Helsinki, Shanghai, Caracas and Barcelona. He has collaborated with many of the world’s greatest conductors, including Lorin Maazel, Rafael Frühbeck de Burgos, Mariss Jansons, Charles Dutoit, Christoph Eschenbach, Sir André Previn, Leonard Slatkin, Jaap van Zweden, David Zinman and Manfred Honeck. Mr. Cárdenes is in great demand as a conductor. His appearances with the Bavarian Radio, Colorado Symphony, Dallas Symphony, Neue Philharmonie Westfalen, New West Symphony, San Diego Symphony, Sinfonica de Venezuela, Orquesta Fundacíon Beethoven (Santiago, Chile), and the OFUNAM Orchestra of Mexico City have received rave reviews. Headlines proclaimed “Cárdenes conducts Pittsburgh Symphony with epic mastery” (Pittsburgh Tribune-Review) after stepping in for an ailing Robert Spano. Mr. Cárdenes served as Artistic Director and Leader of the Pittsburgh Symphony Chamber Orchestra from its inception in 1999 through 2009. This year and next Mr. Cárdenes continues his project to record many standard and contemporary concerti. Released in 2009 are recordings of concerti by Brahms, Mendelssohn, Beethoven, Barber and David Stock on the Artek and Albany labels. A recording of the complete works for violin by Leonardo Balada was released on Naxos in January 2011, with the complete Sonatas by Hindemith, complete Sonatinas and Fantasie by Schubert on Artek, and the Beethoven Violin Concerto on Zephyr, were released in the fall of 2016. Soon to be released is the Chausson Concerto with the Vega Quartet and the Fauré Sonata on Artek. Cárdenes’ discography includes over three dozen recordings of concerti, sonatas, short works, orchestral and chamber music on the Ocean, Naxos, Sony, Arabesque, Albany, Delos, RCA, ProArte, Telarc, Artek, Melodya and Enharmonic labels. 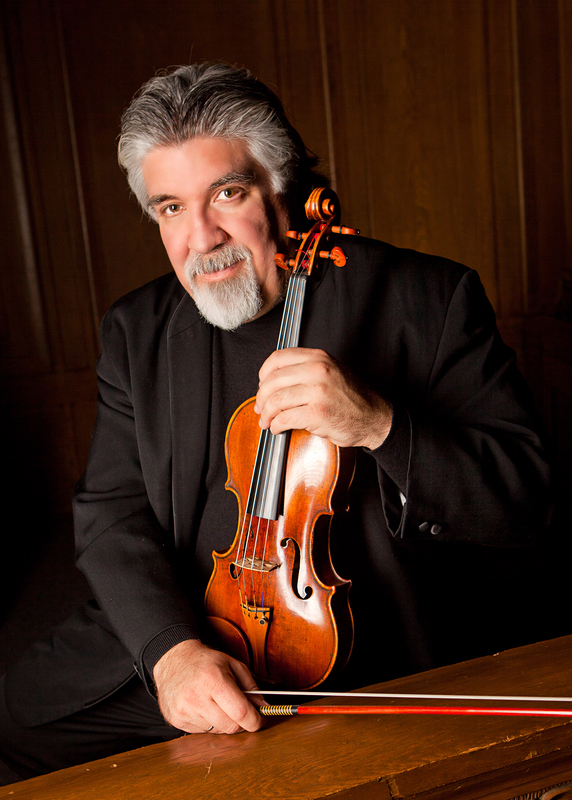 Mr. Cárdenes has thriced served as President of the Jury of the Stradivarius International Violin Competition and was on the jury of the 2011 Tchaikovsky International Violin Competition in St. Petersburg, Russia. The year 2017 marked the 40th anniversary of Mr. Cárdenes’ renowned teaching and pedagogical career, which began as an assistant to his teacher and mentor Josef Gingold at Indiana University. 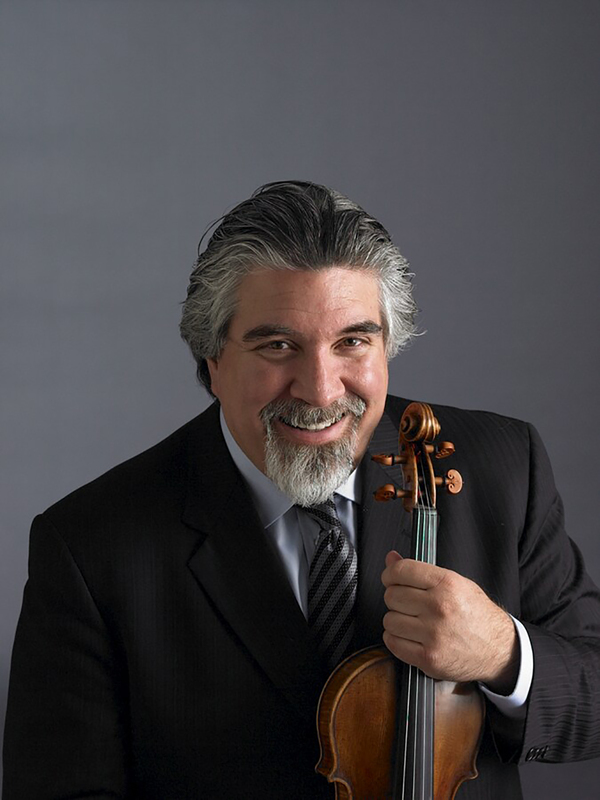 Today, Mr. Cárdenes continues Professor Gingold’s legacy and discipline while holding the title of Distinguished Professor of Violin Studies and the Dorothy Richard Starling/Alexander Speyer Jr. Endowed Chair at Carnegie Mellon University’s School of Music. In addition, Cárdenes gives Master Classes regularly at the Royal Conservatory of Music in Toronto, the Manhattan School, Cleveland Institute, The Curtis Institute, and at virtually every major university and conservatory in the United States. Read more about Andrés Cárdenes as a conductor, pedagogue and chamber musician.